The Crow Wing County Historical Society is looking for two new members to join our Board of Directors in 2019. If you are interested in history, enjoy collaborative planning, and have time to dedicate to improving our organization, please consider applying. Page 7 in the Winter 2019 newsletter has more details (see the right-hand column for the link). The Winter 2019 newsletter is available for download. See the right-hand column for the link. “Along the Mississippi from Rice Lake to Boom Lake”, a 74-page booklet by Ann M. Nelson, is available for download. See the Special Features section in the right-hand column. Congratulations to Crow Wing County for successfully applying for a Legacy Funds Grant to renovate the Crow Wing County Historical Society Museum! We appreciate their commitment to covering the balance of the total cost of the project from county funds. The text of the announcement is in our Museum Renovation page, where we will try to keep everyone updated as this project progresses. In an attempt to provide a photographic record of the history of downtown Brainerd's buildings through the years, over 285 old and new photos have been gathered by Ann M. Nelson for presentation in a new Special Features page entitled “Downtown Brainerd: Then & Now” (see the right hand column). Included in this presentation are short histories of many of the buildings along with exterior and interior photographs where possible. As you scroll through the page, you will notice many changes to Brainerd's buildings, some for the better and some for the worse. Hopefully, more care will be taken of Brainerd's historic downtown in the future. On Friday, June 16, 2017, during Brainerd History Week, the Historical Society celebrated the construction of the original Crow Wing County Sheriff's Residence and Jail that was finished in 1917. Lakeland TV videotaped some of the festivities for their broadcast that evening. In the 1980s and 1990s, twelve videotaped interviews were created of Crow Wing county residents sharing memories and stories from their lives. They are now available to be viewed online on the Minnesota Digital Library's website. Visit our Research Library page for link. A new article authored by Ann M. Nelson has been added to the Special Features section to the right on the home page. Brainerd Utilities is a collection of newspaper stories and photos exploring the history of the Gas, Electric and Water services in Brainerd, including the Dam and the Water Tower. Most of the content has been moved from the other Features, but new content has also been added. All of the Special Features article are updated monthly. “A Brief History of Early Northeast Brainerd”, a 35-page booklet by Ann M. Nelson, is available for download. See the Special Features section in the right-hand column. The booklet for the Northside Neighborhood History Walk is available online. See the Special Features section in the right-hand column. The Losey & Dean mortuary record books covering 1889-1914 have been photographed and indexed and are now available on the new Mortuary Records page. The museum has a collection of oral histories recorded on cassette tapes with transcriptions done at the time of the recording. Several dozen of these tapes have been digitized by the Minnesota Digital Library. Those digital audio files and the transcriptions are now available online at the Minnesota Reflections website in the Crow Wing County Historical Society Oral Histories section. 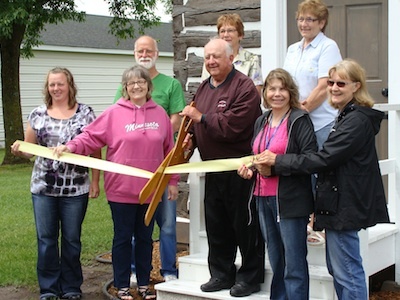 The Carbine House restoration by Edlund Construction of Richmond, MN, was completed in time for the Crow Wing Historical Society to have a Carbine House Restoration ribbon cutting ceremony on June 19, 2014, during Brainerd History Week. The restoration was funded by the Legacy Fund Minnesota sales tax and contributions from local govermental units as well as from generous donors. The Carbine House web page will be update shortly with more photos and a link posted here. The Historical Society has joined the modern age on Facebook! “Like” our page to get event announcements & reminders and the occasional tidbit in your news feed. Don Ryan, Crow Wing County attorney, has donated a large selection of heirlooms from his family's long line of attorneys-at-law. 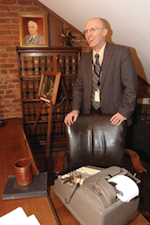 The items include a wooden desk, a map cabinet, photos, letterhead, trial exhibits, even a spittoon. More details are found in the Brainerd Dispatch article: Legal legacy: Ryan family donates items to museum. 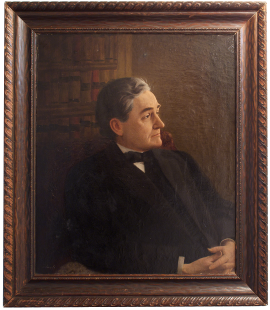 The new Ryan Law Office exhibit is on the third floor of the museum, next to the newly-restored portrait of Lyman P. White. Visitors hours are 10-3, Tuesday through Saturday. The historic Northern Pacific Railroad Shops and the significant role they played in the development of Brainerd are the subject of this video produced by Central Lakes College student, Tyler Mumm. The 2012 Brainerd Lakes Railroad Roundhouse Symposium on Saturday, September 15, 2012 at the Northern Pacific Industrial Center was attended by over 180 people. As part of the program, the original NP Shops Steam Whistle on display at the museum blew once again for the first time in 29 years. Lakeland Public TV did a nice Community Spotlight report on the Symposium and the NP Railroad's connection with the founding of Brainerd. Exciting news for genealogists and researchers! 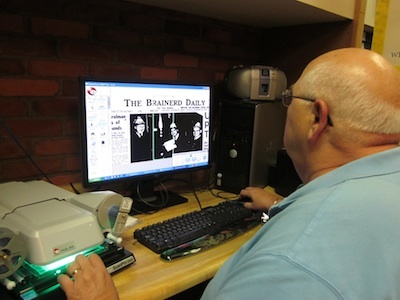 Thanks to a state grant and generous donors, the Crow Wing County Historical Society has purchased a ScanPro 2000 Digital Microfilm Scanner for its research library. It attaches to a PC and digitally scans microfilm or microfiche. The digital scan can be printed, emailed, or saved to a flash drive. We applied for and were awarded another state grant to restore a very large portrait of Lyman P. White (1810 - 1902), said by some to be the "Father of Brainerd" for all he did in the early days of Brainerd. The portrait used to be on display in the former museum located in the basement of the court house, but has been in storage due to its poor condition. When the restoration and frame repair is complete, it will once again be on prominent display in the museum. The state grants for these projects were made possible by the Arts and Cultural Heritage Fund through the vote of Minnesotans on November 4, 2008. 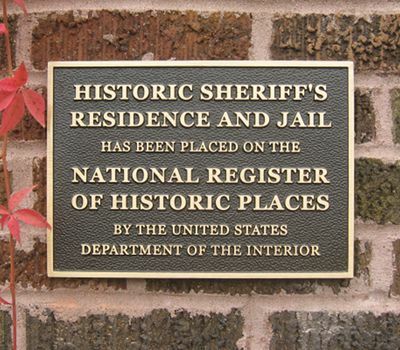 Administered by the Minnesota Historical Society. Through a collaboration of the Brainerd History Group, the Brainerd Public Library, the Crow Wing County Historical Society and a tremendous group of volunteers, you can now tour the history of Downtown Brainerd in a variety of formats. Read- The guidebooks are available for check out at the Brainerd Public Library and online as a downloadable PDF. The tour details 35 different locations and covers about 1.4 miles. Listen- An audio tour can be played on your computer or downloaded to any MP3 device to listen to as you walk. You can also checkout the audio version of the guidebook on CD from the library. Watch- The history of Brainerd can be seen through two short videos, “Brainerd Begins” and “The Historical Brainerd Water Tower”. All items are available at the City of Brainerd's website: http://www.ci.brainerd.mn.us/359/Downtown-Brainerd-Historical-Walk. This project was funded in part or in whole with money from Minnesota's Arts & Cultural Heritage Fund. The March 4, 2010 episode of Lakeland Public TV's "Common Ground" program has a segment narrated by former Museum Director Marilyn Anderson that was taped in January showcasing the Sheriff's Residence and exhibits. Watch the segment online (00:08:40 long) by clicking on the image, below (will open a new window). 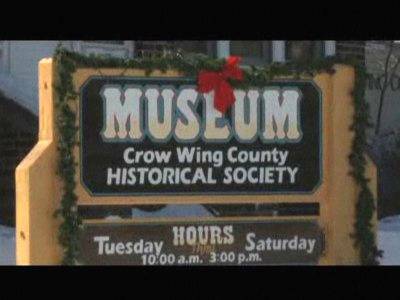 The Crow Wing County Historical Society has been keeping tabs on Crow Wing County's history since 1927. The museum has three floors of exhibits including displays on the lumber industry, the railroads, mining, and home life. You can also walk through a period home from the early 1900s, completely restored! Venture into your own history using the museum's research library; look through hundreds of historical photographs, maps, and books. Page through historical copies of several area newspapers, some going back to the late 1800s. The museum and library are open Tuesday through Saturday, 10 AM to 3 PM. We ask a donation of $3.00 per adult. Come take a look! The pictorial book authored by the Society is available for purchase. Click on “Brainerd” Book in the top menu for details & ordering info. These businesses and individuals support the Crow Wing County Historical Society with memberships at the Sustaining level or above. Freeman Thorp painting of Unidentified Man.